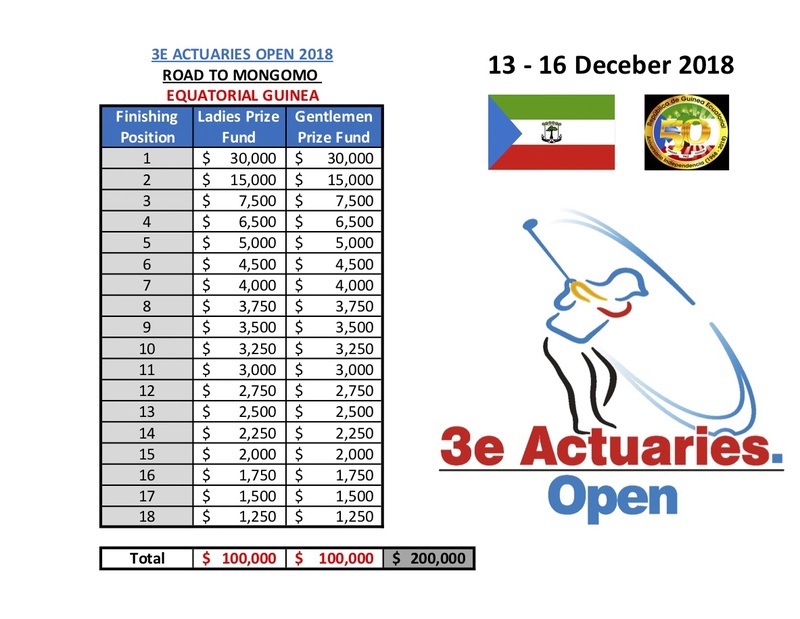 Please find attached the official Lift of Players for the 6th edition of the 3e Actuaries OPEN – Road to Mongomo that will be held from 13 – 16 December 2018. There are Invitation ONLY spaces available for six (6) Ladies. Qualifiers for 7 Men. It will take place at the Mongomo Golf Course. This year’s event will mark the 50th Anniversary of Equatorial Guinea Independence. We have maintained the same Prize for Winners and last placed winner. This year we have finally achieved our goal to ensure that Men and Women are treated equally. The field is smartened up to include only 30 Men and 30 Women. With Only the Top 18 and ties for both Men and Women making the Weekend CUT. There will be a PRO-AM on Saturday 15 December for willing PROS that do not make the CUT. There will be limited spaces. All accommodation and internal logistics are covered in keeping with our tradition. Hotel is the GRAND HOTEL DJIBLOHO. 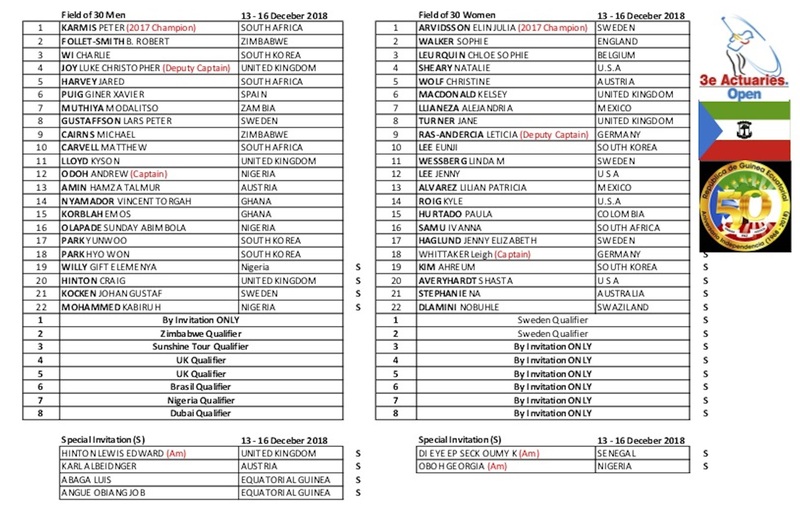 The qualifiers are scheduled for UK, Dubai, Brasil, Zimbabwe and Nigeria. In addition, we will have a 1-day qualifier for the Ladies in Sweden. Road to mongomo is always a special event in my dream and I always thanks the foundder and organising committee of this event across the the world.